A planned gift supports the causes and values you hold dear. 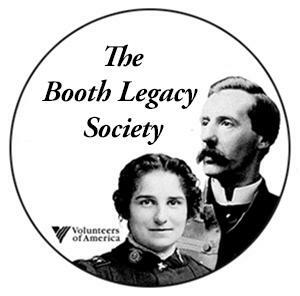 A legacy gift to the Maude & Ballington Booth Legacy Society of Volunteers of America may help you manage your personal financial plan and extend your ability to help others for generations. You can make the world a better place for your children and grandchildren when you continue the good work of Volunteers of America by leaving a bequest in your will, acquiring an annuity, or making a gift of appreciated assets. Call the Resource Development Department at 504-482-2130 to learn more about making a commitment and becoming a member of The Booth Legacy Society.